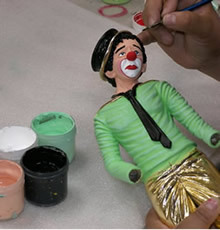 Sculptures can be hand painted, with great detail, in a variety of custom colors of your choice. 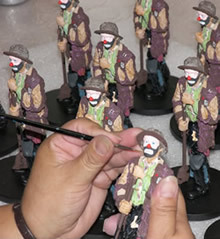 We are also able to hand paint on a Poly Resin casting. Paints can be applied over the gold for a variety of effects. Let us show you the value!